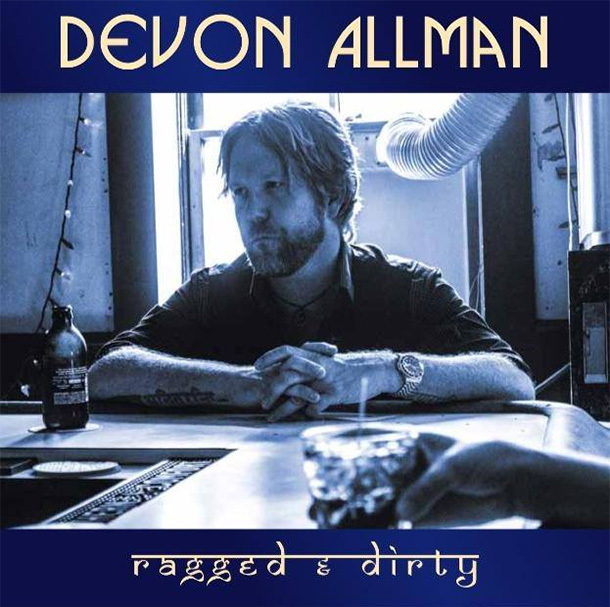 Devon Allman returns with Ragged & Dirty, the follow up to last year’s Turquoise. Turquoise showed that Allman can play with the big boys and Ragged & Dirty ups the ante. The album features 12 tracks and sees Allman team up with producer Tom Hambridge, who also penned several tracks on the album. “Half the Truth” kicks things off and is an upbeat rocker. “Traveling” is penned by Allman and is one of the standout songs on the album. It’s infectiously groovy with an absolutely killer guitar solo. “Midnight Lake Michigan” follows and is an epic nine minute plus instrumental that launches Allman into guitar hero status. Allman has always been a good player, but on Ragged & Dirty he really displays his skill working the fretboard. Devon Allman is the real deal. While Allman is also known for being a member of the group Royal Southern Brotherhood and of course, being an Allman, his talent as a solo performer is still very much underrated. Teaming with Tom Hambridge was a great move both in terms of production and songwriting. Allman is a triple threat, too. He’s a strong songwriter, soulful singer, and a great guitar player. On Ragged & Dirty, Allman proves to be one of the most talented artists on the blues rock scene today and turns in one of the year’s best albums.